Peter Clement is a physician who served as chief of Emergency in a major metropolitan teaching hospital, as well as the chief of Family Medicine, and has practiced as an M.D. for over thirty years. 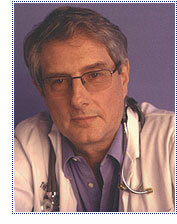 He has written the Earl Garnet medical thriller series, Lethal Practice, Death Rounds, and The Procedure. In the book Mutant and its sequel, Critical Condition, he introduced readers to a pair of new characters, Richard Steele, a widowed ER doctor trying to cope with his job while raising a young teenage son, and Kathleen Sullivan, a world renowned geneticist, brilliant with genes. His latest two books, Mortal Remains and The Inquisitor, are again, Earl Garnet novels. His latest novel, The Darkness Drops, introduces readers to the dark world of Dr. Terry Rider, the man charged with protecting America against a biological attack. Shadow-dancing he calls it, because the forces he must take on, from state-run bioweapons programs to networks of arms merchants who would sell the deadliest organisms on earth to any warlord with a Visa card, are as invisible as the microbe armies they would unleash. Yet he feels most at home as an ER physician. In the midst of failing hearts, damaged brains, overwhelming trauma, sepsis and shock he excels as an artist in critical care. His edge is the knack of thinking visually. Among other things, it enables him to read events the way master chess players can read the board and see twelve moves ahead. He anticipates what will go wrong before others even realize a risk exists. In ER it saves lives and makes him a hero. In everyday life it makes him appear paranoid. In the realm of bioterror, it drives him mad. In all his books, Clement uses his insider's take on medicine and science to explore the fault lines along which things go wrong, and to provide vivid, gripping depictions of a life in medicine. The reader gets to experience what it is like to be inside an ER physician's head, to know first hand the rush of adrenaline, to experience the doubts, fears, and uncertainties that are the reality behind the professional exterior. In THERAPY, he again shifts to new ground. "The process of creativity and the time frame for writing never cease to surprise me. I began to work on THERAPY as a potential novel and feel I should apologize to readers for taking so long, nearly five years, to write so short a story. But the sensitivity of the subject matter demanded many drafts and relentless cuts before the protagonist was finally freed to find his own voice. Once that happened, the manuscript practically wrote itself in five weeks. Was the struggle worth it? I think so. Although it explores difficult terrain, readers have pronounced it powerful, well-written and poignant. I hope you agree." Clement currently maintains a private practice, but divides his time between medicine and writing, a mix he considers to be the perfect job. He lives with his partner, and has two sons.